South Gloucestershire Council has a Chair and Vice-Chair of Council rather than a mayor and deputy mayor. 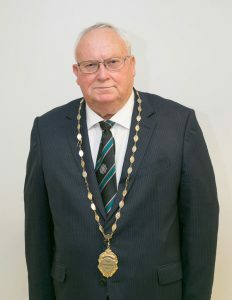 The Chair of Council and in his absence, the Vice Chair, is the civic leader and first citizen of the community of South Gloucestershire. 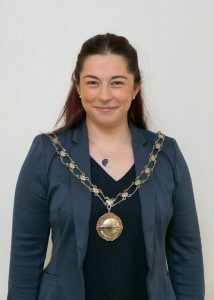 The Chair of Council is elected each year at the annual Council meeting and represents the council at civic functions and chairs full Council meetings. The Chair should not be confused with the Leader or Deputy Leader of the Council who provide political leadership for the Council. Both Councillor Rachael Hunt and Councillor Brian Allinson are keen to be involved in as many local activities within South Gloucestershire as possible. They would therefore be happy to attend any local events such as official openings of new buildings, launching of new projects, award ceremonies, local festivals, concerts, church services, schools and elderly persons homes etc. The Chair of Council will be expected to host events during their year of office. This normally includes a Civic Service and reception and the Community Awards Ceremony. Although it is not intended that a major part of the Chair’s role is to raise funds for charity, it is normal practice for the Chair to chose and support one or more charities whose work supports residents within the South Gloucestershire area. Both the Chair and Vice Chair are expected to attend the Citizenship ceremonies which are held on a monthly basis in the evening at Kingswood Civic Centre. This is where immigrants to the country who have successfully applied for British citizenship attend a special ceremony to take the oath of allegiance to the Queen and pledge their loyalty to the UK. The Chair’s role is to welcome everyone and to hand out the certificates and gifts.